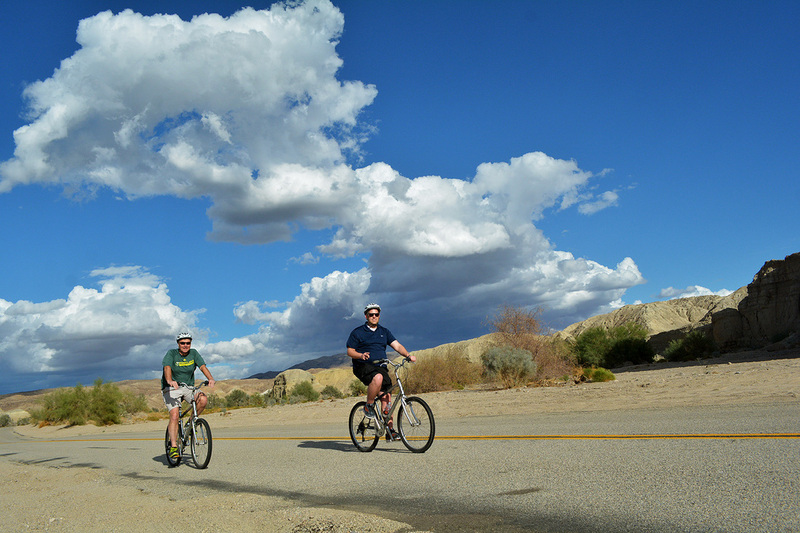 ​Riders are treated to a geologic extravaganza on this 20 mile tour that descends through the heart of the San Andreas Fault zone on a paved road to the heart of grape country near Mecca. There are no cross roads, no turns, and very little traffic which makes this a relaxing sightseeing adventure. 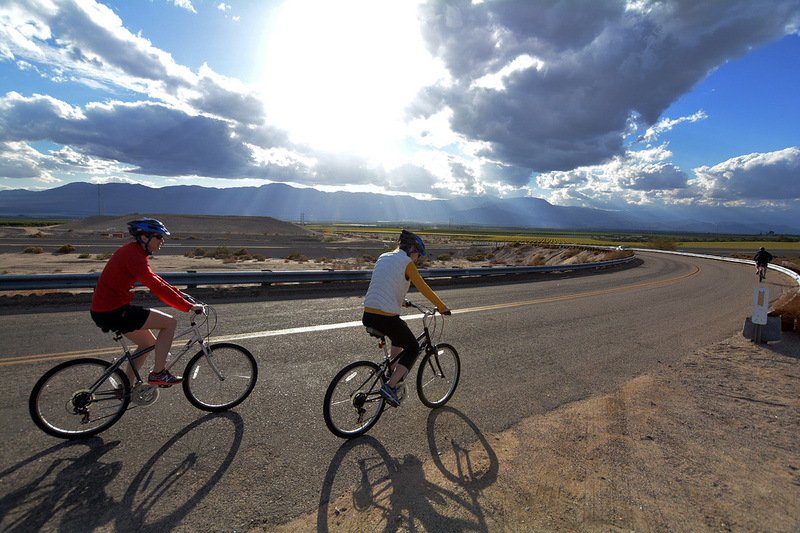 Riders will see the stark beauty of the desert as they descend a total of 1200 feet over the route. 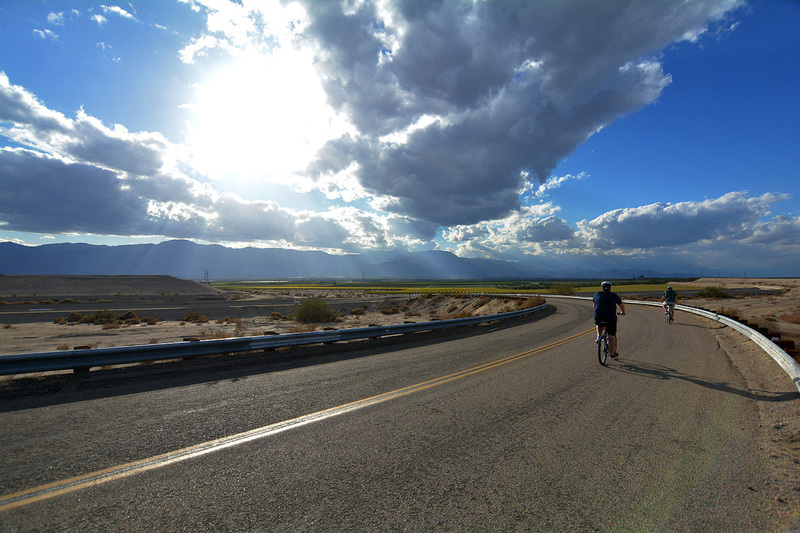 The course takes riders from the transition zone between the Colorado and Mojave Desert, winds its way through the narrow canyon walls of Box Canyon and finishes with spectacular views of the Salton Sea, Mt. San Jacinto, the All-American Canal, and the agriculture of the eastern Coachella Valley. The tour finishes with a visit to the Oasis Date Gardens for a date shake.